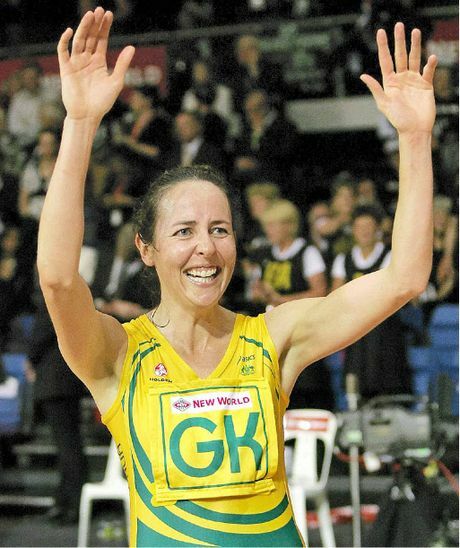 NETBALL legend Liz Ellis can add NSW Netball Hall of Fame to her decorated career. The only problem was she wasn't there to be honoured in person at the dinner in Sydney at the weekend. Ellis moved to the Far North Coast a few years ago and lives at Booyong. "It came a bit out of the blue and I really wasn't expecting it," Ellis said. "I was a bit sad I couldn't get there because we had a family wedding in Coffs Harbour the same day. "When I retired I promised my husband that family would come first. "Netball NSW has been really good and they're going to induct me properly next year and I'll take the family down then." Ellis played a record 122 games for Australia between 1993 and 2007. Originally from Hawkesbury, she played in NSW junior and senior state teams and was part of a NSW Open team who won four national titles. She won three world championships and two Commonwealth Games gold medals. Ellis, 40, has been enjoying the relaxed lifestyle on the FNC since making the move from Sydney. The Hall of Fame recognition is up there with her proudest moments. "You don't really think about these sorts of things while you're playing," Ellis said. "This is a nice recognition and a good way to say 'thank-you' to friends and family as well. There are so many great players from New South Wales who have gone on to represent Australia." Ellis conducted coaching clinics with junior netballers on the FNC earlier this year. There are plans for similar clinics to run again early next year.